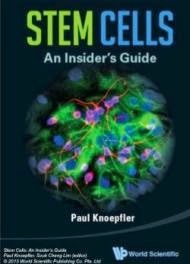 essential for the positioning and function of the stem cell niche. Researchers at Heidelberg University's Centre have been delving into the basic regulatory mechanisms of stem cell differentiation. Using the Drosophila melanogasterfruit fly as a model organism, the team led by Prof. Dr. Ingrid Lohmann managed to show how a special developmental gene from the Hox family influences germline stem cells. These cells are responsible for sperm formation. The scientists, working in the “Maintenance and Differentiation of Stem Cells in Development and Disease” Collaborative Research Centre (CRC 873), found that impairment of Hox gene function resulted in prematurely aged sperms. As “immature” somatic cells, stem cells can mature into different types of cells, thus making them responsible for the development of all the tissues and organs in the body. They are also able to repair damaged adult cells. "Advancements in medical research have shown that stem cells can be used to treat certain diseases. To fulfil the promise of stem cell therapy, it is important to discover the function of the respective stem cells and understand how they interact with their environment, that is, the surrounding cells and tissues." explained Prof. Lohmann, who heads the Developmental Biology research group at the Centre for Organismal Studies (COS). This microenvironment, which stabilises and regulates stem cell activity, is called a stem cell niche. The Heidelberg research team investigated the niches in the testis of the fruit fly. The germline stem cells there produce daughter cells that develop into mature sperms. "In our studies, we wanted to find out the nature, if any, of the relationship between germline stem cells and the gene Abd-B." said Prof. Lohmann, who further explains that Abd-B belongs to a family of developmental genes referred to as Hox genes. These Hox genes control the activity of a multitude of other genes that are responsible for the early development of an organism. According to the team’s research, the Abd-B gene is critical to niche function in the Drosophila testis. If Abd-B is mutated, the niche – and the stem cells located there – lose their position in the testis. This damages their function, which in turn causes the germline stem cells to divide incorrectly. In the fruit flies studied, this caused the formation of prematurely aged sperm. "Our new knowledge of the function of Abd-B helps us to better understand how these processes are regulated in higher organisms, including vertebrates." explains Ingrid Lohmann.